It’s a tough world out there and your returnable plastic containers do a lot of traveling. In a world full of scratching, beating, chemicals, washing and extreme temperatures, make sure your RFID tag can take it. With Confidex Carrier Tough Slim™, your container tracking just keeps on going. More durable than ever. 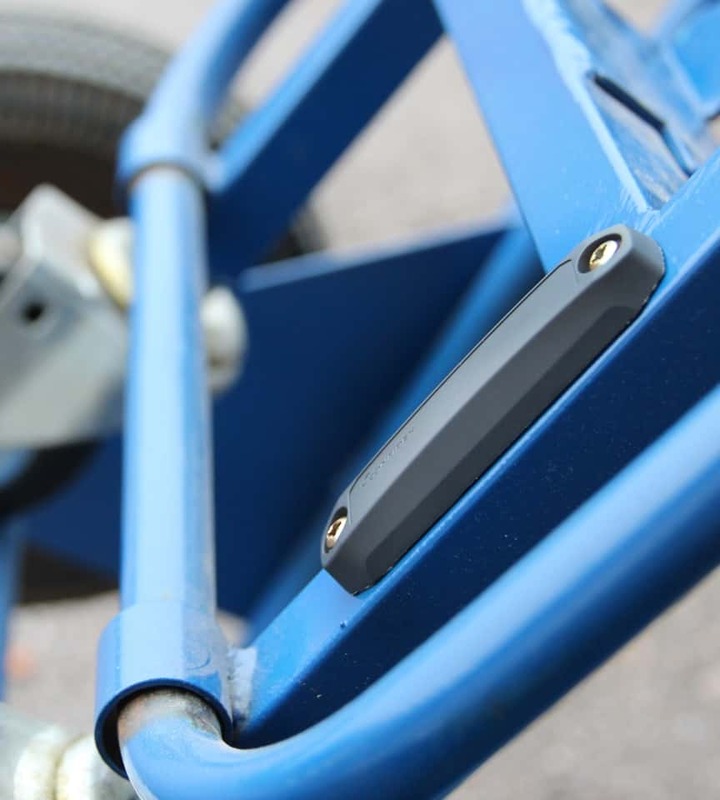 The new Confidex Carrier Tough Slim™ RFID tag is designed to survive even the harshest environments. It is almost immune to scratching and beating, making it an ideal choice for returnable transit item use. 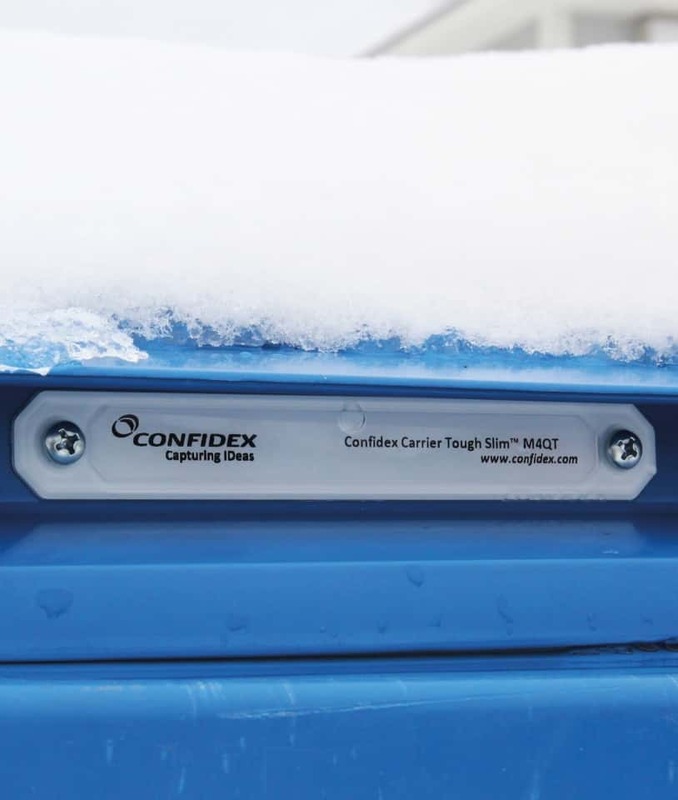 Compared to rubber RFID tags, Confidex Carrier Tough Slim™ can be personalized. Your printed visual information stays safe and readable sealed inside the polycarbonate, ensuring the visibility of your logo, barcodes, text or other markings. Confidex Carrier Tough Slim™ endures repeated washings at high temperatures while still providing reliable automated real-time tracking. The tag is suitable for industries like: Manufacturing, Automotive, Construction and Mining, Logistics and RTI Operation or Healthcare. Confidex is the world’s leading supplier of high performing contactless ticketing and RFID tag solutions and services to make supply chains, transactions and authentication of goods and people more efficient and secure. Locate and sense, through dust and rain, securely. Confidex Viking™ Bluetooth beacons track the location of assets and people, with optional sensors for capturing environmental data. 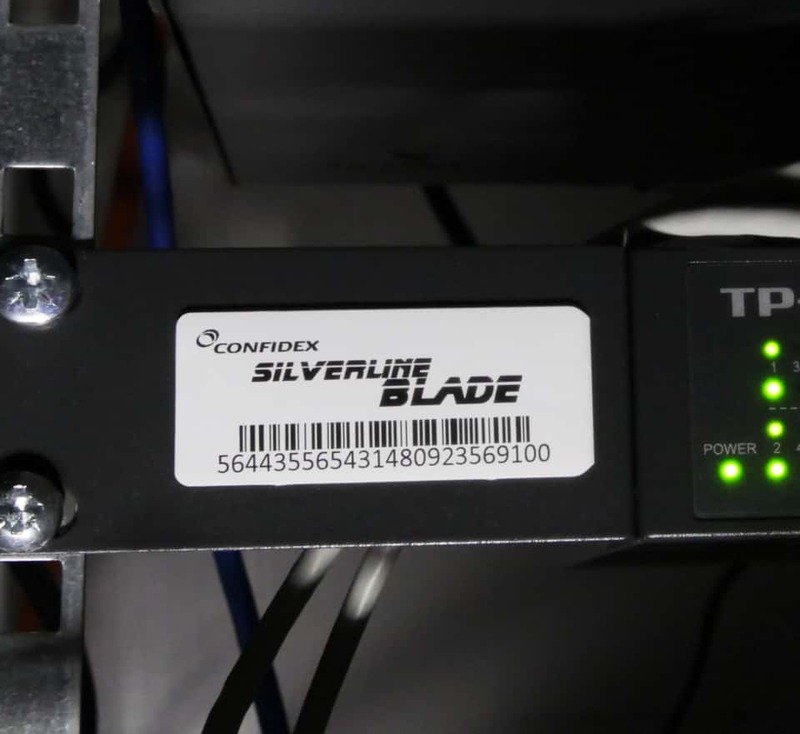 The market leader for industrial wireless identification, Confidex designed the Viking product line to be a modular beacon family that raises the bar for industrial asset tracking, indoor, outdoor locating and sensor telemetry applications. Extreme ruggedness Industrial-grade IP68 protected Confidex Viking™ and Extra durable Confidex Viking Tough™ While Confidex Viking™ is the most rugged BLE beacon on the market, Confidex didn’t stop there and designed Confidex Viking Tough™ for applications where extended vibration and mechanical impact might impair other beacons. Whether there’s moisture, dust or mechanical impacts present that’s all fine, Confidex Viking™ beacons are designed to last. Confidex has been selected to deliver millions of smart tickets to OASA Group, Athens Urban Transport Organization, claiming Athens – population 3.75 million in metropolitan area – as the 100th city using contactless technology provided by Confidex. The mission of OASA Group, including the companies Road transport S.A. and Urban Rail Transport S.A., is to increase the efficiency of the public transportation services for the benefit of the passengers utilizing the technology and by this way to improve the quality of life in Athens. In 2017, Dana implemented a new MES system to meet growing customer demand. Along with the new MES system, DANA began using RAIN RFID for 100% traceability through the manufacturing process. In this process, every DANA part is individually scanned at each station in the process, and as a batch when leaving the facility on a pallet. After thoroughly testing a large variety of off-the-shelf RAIN RFID tags, DANA was unable to suitable solution for tagging of automotive parts. Off-the-shelf tags either failed testing or were too large and expensive to meet stringent product requirements and price targets. Dana commissioned Confidex Ltd., the leader in industrial RFID tags, to develop a custom RFID tag which could meet Dana product requirements including high temperature washing and painting. Throughout the design process, DANA and Confidex teams worked closely together to ensure optimal read performance and adhesion of the final tag design. In June 2018, Confidex celebrates the milestone of one billion produced and delivered short range wireless identification products using Bluetooth, NFC and RAIN RFID technologies. The one billionth product was produced for Goodpack Ptd Ltd, a long-time customer and the provider of the world's largest fleet of steel Intermediate Bulk Containers serving global core industries at over 5,000 locations worldwide.